Now you can enjoy Creative X-Fi technology audio sound not in only in your mp3 player but also in your car! JC Hyun Systems, a South Korea company is the first in the world to use Creative's award-winning Xtreme Fidelity (X-Fi) technology to enhance the overall in-car audio experience of motorists. 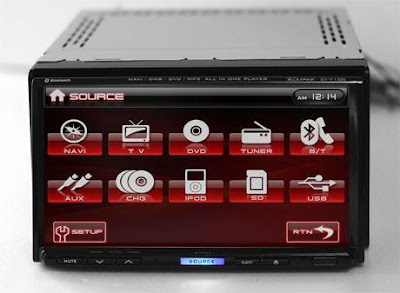 The RUNZ CI-7100 Car Infotainment System is built using a powerful Intel dual-core (360/300MHz) processor. It features the MMSP2 MPEG video hardware engine, SiRF III GPS chipset and Creative Technology's revolutionary X-Fi Audio Processor. The RUNZ CI-7100 features an intuitive 7-inch digital LCD touch screen capable of displaying 800 x 480 high-resolution images and videos. Audio quality is digitally restored and improved using both Creative X-Fi Crystalizer and Creative X-Fi CMSS-3D. Additional features of the RUNZ CI-7100 include two AV in/out ports, USB 2.0 and SD memory card interfaces and Bluetooth 2.0 Enhanced Data Rate (EDR) support. "I believe all motorists seek to enjoy music and videos of the highest quality when travelling in their cars. They expect the same high standards of entertainment experience they enjoy at home, something which most car audio or car infotainment systems in the market have been unable to match so far. By integrating the state-of-the-art Creative X-Fi audio technology to the RUNZ CI-7100, I am confident that we can propel car infotainment enjoyment to the next level and set the standard for next generation systems to come in the near future." said JH Lee, Senior Sales Director of JC Hyun Systems. "We are thrilled to bring the world-renowned X-Fi technology to motorists and their passengers who will now be able to experience compelling audio quality when listening to music or watching movies," said Low Long Chye, Senior Product Manager of Audio at Creative Technology. "The X-Fi technology is fully optimized so audio and visual entertainment in the car can be enjoyed in amazing high-definition audio clarity and detail". 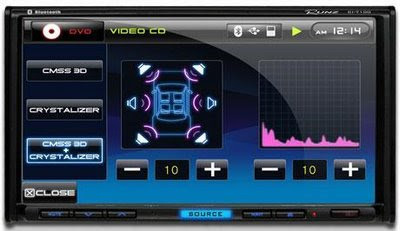 The RUNZ CI-7100 Car Infotainment System supports Creative X-Fi Crystalizer and Creative X-Fi CMSS-3D. Creative X-Fi Crystalizer technology restores fine details and vibrance lost in compressed music and movies. All the highs and lows are also intelligently enhanced to ensure that users hear everything in ultra-realistic audio quality. Creative X-Fi CMSS-3D technology expands stereo MP3s and digital movies into surround sound over multi-channel speakers within the car. The 3D positional audio function allows voices to be centered to the front of users and ambient sounds to encapsulate the audience. The RUNZ CI-7100 Car Infotainment System is now available in Singapore through its authorised dealer, Navigator Systems Pte Ltd at a suggested retail price of S$1,999.00. The RUNZ CI-7100 Car Infotainment System is also equipped with the latest Tele-Atlas Maps from Sygic. was gonna post the recent news! but you beat me to it!